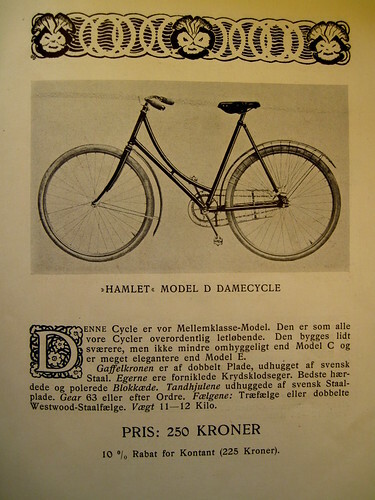 Danish Broadcasting reported today that Post Denmark is replacing all their bicycles with step-through frames instead of frames with 'boy bars'. Johnny Fjellander, postmaster at Købmagergade post office says, "We seen the number of falls halved with the ladies frames." Post Denmark's head office confirms the development and likes it. Less falls means less sick days. I don't really get it since every photo I have of postal bicycles feature step-through frames but perhaps there are other modals out there. If you're ever in Estonia, check out the postal bicycles there. They are old Post Denmark bikes shipped across the Baltic. We had a similar article over at Cycle Chic on this subject of safer bicycles. No one is suggesting that boy bar frames will or should disappear but goodness me we can't have people out there thinking that leaning over handlebars and a ball breaker bar is the definitive picture of bicycling when the majority of bicycles in the world are upright style. By cracking the stereotype of cycling being an adrenaline-based activity and introducing a broader segment of the population to a safe and comfortable transport option we'll be selling cycling much better than we are now. Anyway, back to postal workers on bicycles. 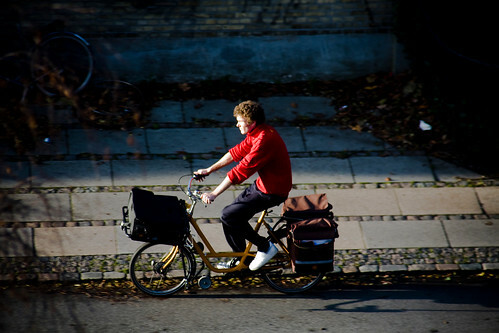 In the UK there is a petition to keep postal workers on bicycles, instead of phasing them out. 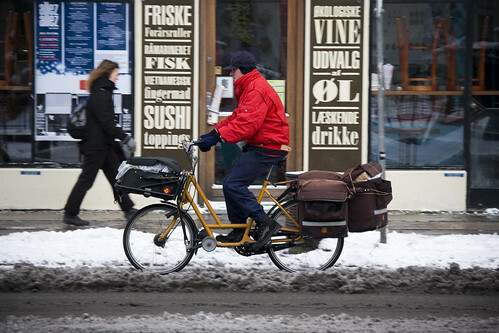 Bicycles have delivered the post in the UK since 1880.